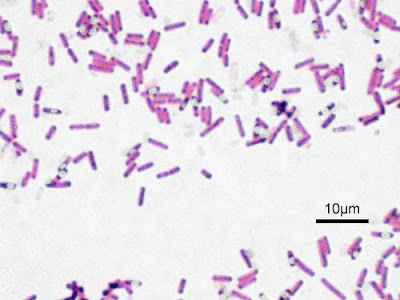 Gram-stained culture of Bacillus subtilis, copyright Y tambe. Bacillus is a diverse genus of rod-shaped, aerobic or facultatively anaerobic Gram-positive bacteria that produce dormant endospores when exposed to unfavorable conditions. [AS92] Aragno, M., & H. G. Schlegel. 1992. The mesophilic hydrogen-oxidizing (knallgas) bacteria. In: Balows, A., H. G. Trüper, M. Dworkin, W. Harder & K.-H. Schleifer (eds) The Prokaryotes: A handbook on the biology of bacteria: Ecophysiology, isolation, identification, applications 2nd ed. vol. 1 pp. 344–384. Springer-Verlag: New York. [BB37] Bishopp, F. C., & C. E. Burnside. 1937. In memorian: Gershom Franklin White. Proceedings of the Entomological Society of Washington 39 (7): 184–188. [C-S02] Cavalier-Smith, T. 2002. The neomuran origin of archaebacteria, the negibacterial root of the universal tree and bacterial megaclassification. International Journal of Systematic and Evolutionary Microbiology 52: 7–76. [CM92] Coughlan, M. P., & F. Mayer. 1992. The cellulose-decomposing bacteria and their enzyme systems. In: Balows, A., H. G. Trüper, M. Dworkin, W. Harder & K.-H. Schleifer (eds) The Prokaryotes: A handbook on the biology of bacteria: Ecophysiology, isolation, identification, applications 2nd ed. vol. 1 pp. 460–516. Springer-Verlag: New York. [CV66] Curds, C. R., & J. M. Vandyke. 1966. The feeding habits and growth rates of some freshwater ciliates found in activated-sludge plants. Journal of Applied Ecology 3: 127–137. [DC03] Duan, Y. P., H. F. Castro, T. E. Hewlett, J. H. White & A. V. Ogram. 2003. Detection and characterization of Pasteuria 16S rRNA gene sequences from nematodes and soils. International Journal of Systematic and Evolutionary Microbiology 53: 105–112. [E92] Eady, R. R. 1992. The dinitrogen-fixing bacteria. In: Balows, A., H. G. Trüper, M. Dworkin, W. Harder & K.-H. Schleifer (eds) The Prokaryotes: A handbook on the biology of bacteria: Ecophysiology, isolation, identification, applications 2nd ed. vol. 1 pp. 534–553. Springer-Verlag: New York. [IJSEM03] IJSEM. 2003. Validation list no. 94. Validation of publication of new names and new combinations previously effectively published outside the IJSEM. International Journal of Systematic and Evolutionary Microbiology 53: 1701–1702. [KGP02] Kanso, S., A. C. Greene & B. K. C. Patel. 2002. Bacillus subterraneus sp. nov., an iron- and manganese-reducing bacterium from a deep subsurface Australian thermal aquifer. International Journal of Systematic and Evolutionary Microbiology 52: 869–874. [KE03] Kobayashi, K., S. D. Ehrlich, A. Albertini, G. Amati, K. K. Andersen, M. Arnaud, K. Asai, S. Ashikaga, S. Aymerich, P. Bessieres, F. Boland, S. C. Brignell, S. Bron, K. Bunai, J. Chapuis, L. C. Christiansen, A. Danchin, M. Débarbouillé, E. Dervyn, E. Deuerling, K. Devine, S. K. Devine, O. Dreesen, J. Errington, S. Fillinger, S. J. Foster, Y. Fujita, A. Galizzi, R. Gardan, C. Eschevins, T. Fukushima, K. Haga, C. R. Harwood, M. Hecker, D. Hosoya, M. F. Hullo, H. Kakeshita, D. Karamata, Y. Kasahara, F. Kawamura, K. Koga, P. Koski, R. Kuwana, D. Imamura, M. Ishimaru, S. Ishikawa, I. Ishio, D. Le Coq, A. Masson, C. Mauël, R. Meima, R. P. Mellado, A. Moir, S. Moriya, E. Nagakawa, H. Nanamiya, S. Nakai, P. Nygaard, M. Ogura, T. Ohanan, M. O’Reilly, M. O’Rourke, Z. Pragai, H. M. Pooley, G. Rapoport, J. P. Rawlins, L. A. Rivas, C. Rivolta, A. Sadaie, Y. Sadaie, M. Sarvas, T. Sato, H. H. Saxild, E. Scanlan, W. Schumann, J. F. M. L. Seegers, J. Sekiguchi, A. Sekowska, S. J. Séror, M. Simon, P. Stragier, R. Studer, H. Takamatsu, T. Tanaka, M. Takeuchi, H. B. Thomaides, V. Vagner, J. M. van Dijl, K. Watabe, A. Wipat, H. Yamamoto, M. Yamamoto, Y. Yamamoto, K. Yamane, K. Yata, K. Yoshida, H. Yoshikawa, U. Zuber & N. Ogasawara. 2003. Essential Bacillus subtilis genes. Proceedings of the National Academy of Sciences of the USA 100 (8): 4678–4683. [MN03] Moffitt, M. C., & B. A. Neilan. 2003. Evolutionary affiliations within the superfamily of ketosynthases reflect complex pathway associations. Journal of Molecular Evolution 56: 446–457. [MO03] Müller, V., & A. Oren. 2003. Metabolism of chloride in halophilic prokaryotes. Extremophiles 7: 261–266. [SJ04] Spring, S., U. Jäckel, M. Wagner & P. Kämpfer. 2004. Ottowia thiooxydans gen. nov., sp. nov., a novel facultatively anaerobic, N2O-producing bacterium isolated from activated sludge, and transfer of Aquaspirillum gracile to Hylemonella gracilis gen. nov., comb. nov. International Journal of Systematic and Evolutionary Microbiology 54: 99–106. [VK03] Venkateswaran, K., M. Kempf, F. Chen, M. Satomi, W. Nicholson & R. Kern. 2003. Bacillus nealsonii sp. nov., isolsted from a spacecraft-assembly facility, whose spores are γ-radiation resistant. International Journal of Systematic and Evolutionary Microbiology 53: 165–172. [Z03] Zeigler, D. R. 2003. 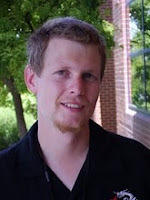 Gene sequences useful for predicting relatedness of whole genomes in bacteria. International Journal of Systematic and Evolutionary Microbiology 53: 1893–1900. [Z92] Zumpft, W. G. 1992. The denitrifying prokaryotes. In: Balows, A., H. G. Trüper, M. Dworkin, W. Harder & K.-H. Schleifer (eds) The Prokaryotes: A handbook on the biology of bacteria: Ecophysiology, isolation, identification, applications 2nd ed. vol. 1 pp. 554–582. Springer-Verlag: New York.